A very exciting renovation is taking place in ODEON Blanchardstown over the next six weeks. 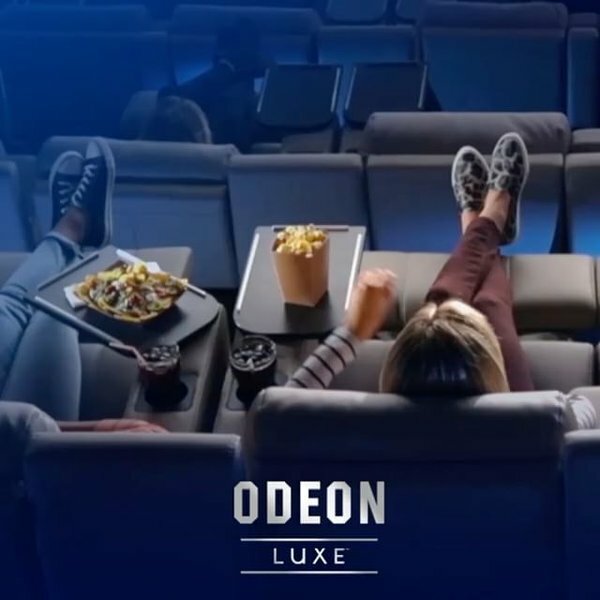 ODEON Blanchardstown will mark the first ODEON site in Ireland to have two screens featuring its new luxury fully reclining seating. ODEON Blanchardstown will be installing a state-of-the-art IMAX screen and transforming its existing iSense screen with its newly launched ODEON Luxe reclining seat experience. ODEON Luxe screens will set the pace for luxury cinema with 340 handmade fully reclining seats. With significantly increased leg room and personal space for guests, as well as retractable tray tables, audiences are in store for a cinematic experience like never before in Ireland. Screen 9 in Blanchardstown will open on 4th December as an IMAX screen. IMAX provides guests with an immersive cinema experience, allowing them to enjoy the biggest blockbusters in the biggest way possible. IMAX’s cutting-edge projection system, which delivers crystal-clear images, coupled with IMAX's customized theatre geometry and powerful digital audio create a unique environment that will make audiences feel as if they are in the movie. The new screen will launch as an ODEON Luxe screen, meaning guests can experience IMAX from fully reclining seats, this marks one of the first IMAX screens in Europe to have fully-reclining seats. The existing iSense screen in Blanchardstown will also be transformed into an ODEON Luxe screen with the addition of new reclining seating. iSense combines 4k projection with Dolby ATMOS 3D Sound and an optimized curved screen to immerse guests into the film. ODEON Luxe iSense is due to open 4th December. “ODEON shares IMAX’s commitment to entertainment excellence and we look forward to combining the world’s most immersive cinema experience together with luxury seating to deliver a truly special offering to moviegoers in Blanchardstown,” said Giovanni Dolci, Managing Director, Europe & Africa, IMAX Corporation.